The Most Trusted Emergency Locksmith In Georgetown Texas - Call 24/7! The Most Trusted Emergency Locksmith In Georgetown Texas - Call 24/7! Millions of people lose track of their keys every day. If you are familiar with that sinking feeling of standing outside your door with no way of getting in, then you will surely appreciate how quickly our emergency locksmiths in Georgetown Texas can come to the rescue. Maybe you are always great at keeping track of your keys and are just having one of those days where everything goes horribly wrong. For example, your alarm doesn’t go off, then you spill coffee on your shirt just as you are about to head out the door. Then you get in your car put the key in the ignition and snap! Your key breaks off with half of it stuck in your ignition switch and the other half in your hand. Whatever the situation, you can breathe a sigh of relief because you can call Georgetown Locksmith Pros 24/7 for all of your emergency locksmith needs! Call us morning, noon or night (weekends and holidays too) for immediate assistance if you are stuck outside your house. We can also handle lockout situations for your mailbox, toolboxes, sheds, safes and more! We see it all the time… When you are in a hurry it can be easy to accidently use the wrong key to open a door or start your car. This can often lead to broken or stuck keys. Whatever caused the problem, we can quickly remove the broken or stuck key, repair any damages and get you a new key right away. We are lucky, Georgetown is a safe community and a great place to live and work. But, if the unthinkable should happy and your locks were damaged from a break-in, we will be there to get things fixed and restore your sense of security. We can also help you if you are considering any security upgrades to your property. Don’t let your business suffer because you or one of you employees has locked themselves out of the office. Forgot that important document on your desk and can’t find your key? Or maybe you just opened a new bakery and go to open in the morning to realize your keys were stolen. No matter what type of work you do, we can help things run smoothly and get you back inside quickly and hassle-free. It doesn’t matter what type of car you drive, you what type of key you need to have replaced. Our mobile team has the tools necessary to cut new keys on the go. Is there a new driver in the family? We help parents rest easy when their kids start driving because we are always just a quick phone call away. Are your groceries locked in your trunk along with your key? We’ll take care of it quickly and you can get home before everything melts. Everyday, we help our drivers in Georgetown that have locked themselves out of their car for one reason or another. 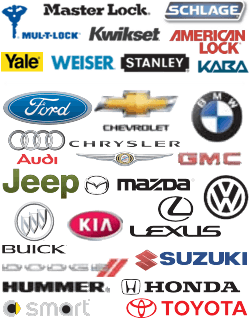 We take great pride in helping our customers quickly resolve their car lockout problems. So what are you waiting for – Give us a call and get back to your life as quickly as possible! We love being a part of the Georgetown Texas community and we hope you will encourage you to get involved in one of the awesome volunteer programs in Georgetown. Emergency https://georgetown-locksmith.co/emergency/ 3.6/5 based upon 5 reviews.